This book is a great antidote to the Karen Dawisha/Frontline hysteria that’s been making the rounds. I use Lynch’s book, among other sources, to buttress some of my critique of Dawisha and the Frontline program, “Putin’s Way,” which violated several of Frontline’s own stated journalistic guidelines. 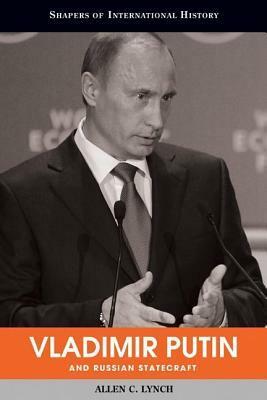 Lynch’s political biography of Putin is a sober and scholarly analysis of Putin the man, the current political conditions of the Russian Federation and the relationship between the two. Lynch’s assessment of Putin is that, in addition to having conservative views on honor and loyalty, he is extremely intelligent and recognizes (and is even open to) many aspects of western democracy on an intellectual level; but Putin also has certain psychological facets to his personality that make him lean toward control, particularly in times of crisis. I think this is a reasonable assessment. Putin is indeed preoccupied with stability. The disintegration of the Soviet Union and subsequent chaos that enveloped Russia during the 1990’s made an indelible impression on Putin, as it did on most Russians. I also think it would be fair to say that most leaders would have some of those same tendencies if faced with the challenges that Russia has had in the past two decades, including a lone superpower overrun by neo-Wilsonian and neoconservative thinking that continues to move a hostile military alliance right up to Russia’s borders, funnels money to opposition figures that want to topple the Russian government – even going so far as having an ambassador (Michael McFaul) that actively supported the opposition in violation of diplomatic protocol, and an oligarchy inherited from the previous leadership – some of whom bristled at having any constraints placed on their behavior and continued to collude with hostile powers to cause trouble (Khodorkovsky and the late Berezovsky). What also has to be kept in mind is that Russia is trying to find its way in the midst of many challenges with no historical experience with democratic institutions prior to Gorbachev’s brief rule. This assessment is confirmed by other sources as noted in my article on Dawisha and Frontline. Lynch also details Putin’s career in the KGB and how his actual job, throughout most of it, was as a low-level analyst in Dresden. Disenchanted with the agency, Putin voluntarily quit the KGB in the early 1990’s, not long after passing up a potential promotion to “the headquarters of the KGB’s foreign intelligence operations,” opting to keep his family in St. Petersburg where they had secure housing, which would have been difficult to obtain in Moscow. I do have a couple of quibbles with the book which prevented me from giving it 5 starts. The first is that it would have been useful for Lynch to have provided some analysis and discussion of two historical Russian figures that are known to be influential to Putin’s political thinking: Ivan Ilyn (1) and Pyotr Stolypin (2). Both were anti-Revolutionary reformers and/or political philosophers who were interested in advancing Russia toward a developed nation based on the rule of law via gradual and thoughtful reform. This attitude was even more prominent in Angus Roxburgh’s The Strongman: Vladimir Putin and the Struggle for Russia, in which Roxburgh’s Western bias at times bordered on the patronizing. However, he was more even-handed than many others and provided much valuable behind-the-scenes insight of Russia’s relations with the West from 2000 to 2012. I recommend that book, along with this one, for those interested in serious political biographies of Putin. The other quibble with Lynch’s book was the occasional use of non-credible sources like Freedom House which gets 80% of its funding from the US government via the National Endowment for Democracy and, as I have written elsewhere, has a tendency to assess a country’s level of freedom, not based on consistent and objective criteria, but based on whether the country is an ally of the US and/or receptive to US corporate interests. Karen Dawisha is not the most credible source on Russia or its president. Making a documentary program with no other academic or journalistic experts on Russia, government officials or business people is short sighted. Not performing due diligence as to the dubious claims she and the handful of others on Frontline make smacks of propaganda. Note: I have emailed a copy of the full article to Frontline. Will update with any response I receive.